Using recyclable materials in any business activity offers a better marketing image to the general public and your customers. 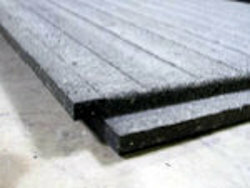 A single Eco-Flex Yukon Mat is made from approximately 350 recycled rubber tyres. A range of Eco-Flex Yukon mats are available to meet your needs. The Yukon Overlap mats are perfect for permanent or temporary heavy duty surface solutions for parking lots, helicopter pads, shop flooring etc. Eco-Flex Eco-Walk Industrial Walkways provide temporary or permanent protective and stable surfaces to allow access around sites. Eco-Flex Access Ramps allow easy access solutions for forklifts and pallet jacks and other ramp transition applications. 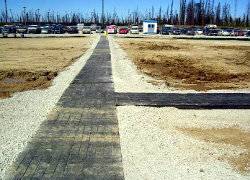 Eco-Flex Rubber Planks allow heavy equipment access across a variety of terrain. Eco-Flex Industrial Floor Mats provide non-slip protective mats for safety, anti-fatigue and protection. 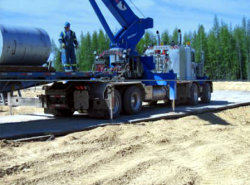 Reduces environmental impact due to ground disturbance. Provides support in wet, muddy, high aggregate terrain. Reduces expensive machinery repairs from getting stuck or hitting potholes. Reduces costly repairs to undercarriages from striking exposed objects. Reduces road construction costs. Saves time and money. Outlasts other mats on the market in terms of maintenance and repair costs. Set up time for rigs is less. Eliminate rutting of lease sites, reduces tripping hazards. Staff moral is higher due to safe working conditions. Brings stable secure working staff. Improved staff moral, more efficient work force. Stable more efficient working platform for equipment. Ease of movement, no tow equipment necessary. Has the potential to reduce lease size. No storage for fill required. Image is everything in competitive markets. Lasting up to 20 years. 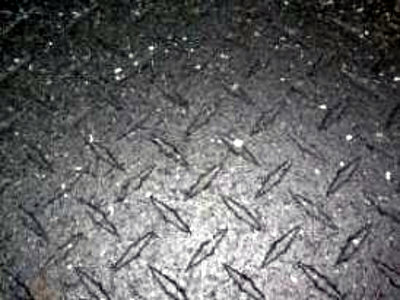 Will withstand tracked equipment or chained tires with very little or no tire evidence of marking under normal use activities. 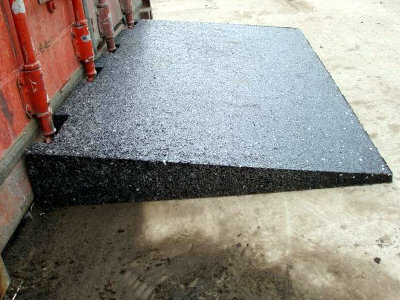 With the use of rubber matting, electrical conductive hazards are reduced compared to electrical work being carried out on steel platforms (lighting strikes and electrical shorts). 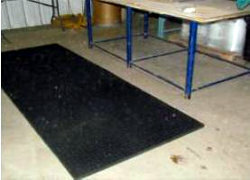 Rubber is excellent for providing a non-slip base, preventing slips and falls by employees. 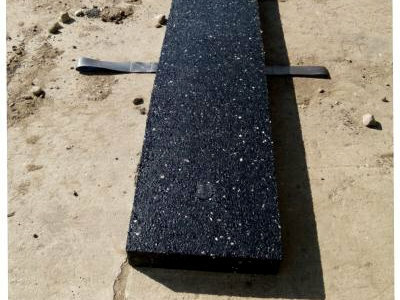 Less snow and ice build up, black rubber absorbs the suns radiation and melts snow and ice even up to –15°C. 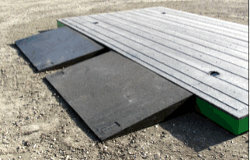 The mats are able to conform to the land without expensive and invasive ground work. Should the be mats be accidentally dropped while handling, there are no concerns of breakage. 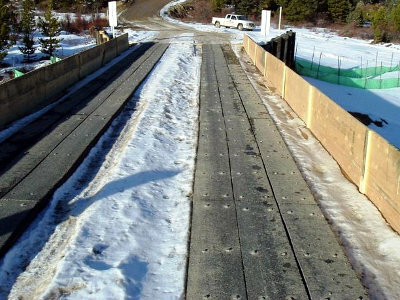 Rubber is a natural insulator, keeps the cold in the ground longer enabling the road to be in service for an extended period of time in the northern regions. Do not have to dry out mats, therefore less storage needed. Easy to wash off, therefore less labour intensive and a cost saving. Rubber is a natural shock absorber that smoothes out the ride, thus reducing fatigue on manpower and equipment. Should electric equipment or machinery be dropped on the mats, it is less likely that the equipment would be damaged, saving expensive replacement costs. 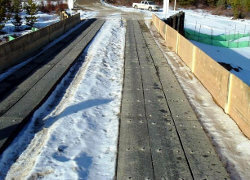 Equipment is less likely to slip off the track to become damaged and caught in the terrain it is being protected from. Ice and snow has been know to melt and dry off rubber surfaces at an increased rate when compared to other product surfaces. The bevelled edge makes for an easy pick up for a loader. Optional lifting lugs can be installed. Less damage than traditional wood. No nails, Less fat tires. No damaged protruding boards . 13. 100% Canadian Manufactured, distributed under Exclusive Licence in Australia.